After registering you will be redirected to our WaterMarker Management Portal. 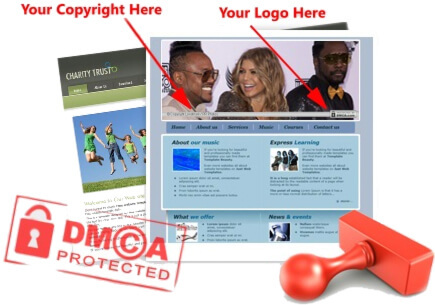 Step 1: Simply register FREE to start using DMCA WaterMarker. Step 2: Enter the URL of an image directory you want to protect, in addition to the name of the copyright owner of those images. Step 3: You're ready to go! Simply reference your images with the new, masked URL. The "DMCA.com Protected" WaterMark will appear on each of them! A folder like http://www.mysite.com/images/ will be masked as http://wms.dmca.com/wmt0f222d2/. Any image or photo you upload to that directory will be automatically WaterMarked when accessing it through the masked URL. Start Protecting your Photos with the DMCA.com WaterMarker! Easily protect an unlimited amount of images and photographs. Add your copyright information to millions (!) of photos in seconds. Discourage hot-linking by presenting copyright details on all your images. Mask your REAL image directory and hide images that have no WaterMark. Improve your website speed by leveraging our Content Delivery Network. Use any standard image format (such as PNG/JPEG/JPG/GIF).